Have you been auditing periodically your Accounts, Cost, Stock, Health, Finance, etc. ? It should be a definite 'yes'. as to how they 'perceive' you? The Managements of many organisations take decisions based on the 'assumptions' and 'illusions'. 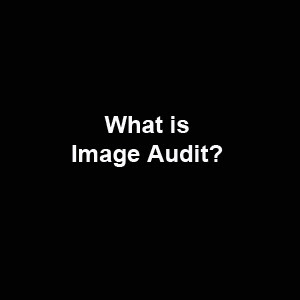 Image Audit is the research tool to study the 'hidden perceptions' of your stakeholders, in a scientific way. * Helps to formulate the communication strategies to improve the relationship and trust. * Helps to rectify any misconceptions without delay.